When Aaron Rodgers slid all the way to the 24th pick of the 2005 NFL Draft, it was easy to feel bad for him. Coming out of Cal, he was in the discussion as the top overall pick. To nearly fall out of the first round entirely? That's tough for anyone to swallow. Those bad feelings have long since subsided, though. 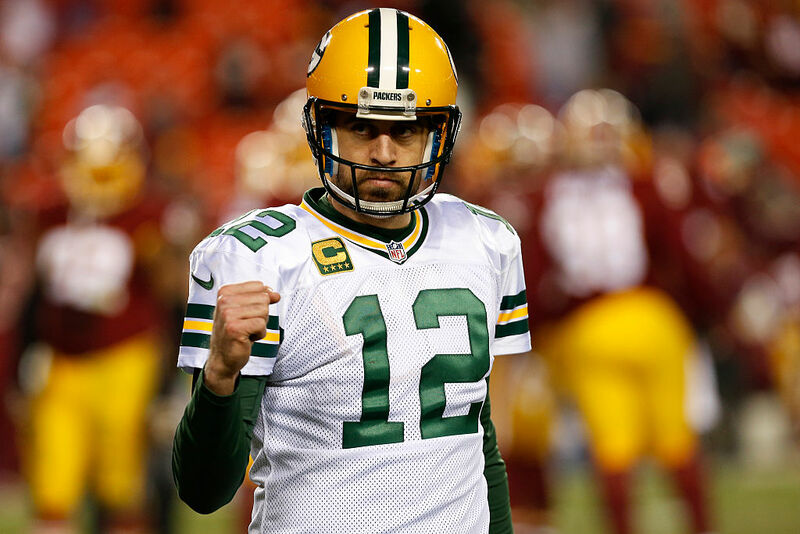 Rodgers has made quite the name for himself in the NFL after becoming the Packers' full-time starter in 2008. He's the NFL's all-time leader in career passing rating and has had six seasons where his interception rate is below 1.5 percent. And he's trending towards his seventh such season, too, with a 19:1 TD:INT ratio through 10 games. He's also had a knack for making incredible throws – remember the year he had not one, but TWO successful Hail Mary completions? Generally, Rodgers is considered one of the top quarterbacks currently in the league, if not of all time. The Packers are paying him accordingly, offering a four-year, $134 million extension this summer. Between his salary and bonuses, Rodgers will take home $66.9 million in 2018. That's nearly $5.6 million per month and more than $183,000 per day. Could you imagine going to bed and knowing you have $183,000 coming to your bank account the next day? That's essentially what Rodgers has experienced all year. It may seem outrageous to pay one player so much, but the Packers have proven to be dreadful without Rodgers on the field. Their 6-11-1 record is already pretty bad, but those wins have usually come thanks to their defense, not a backup quarterback. Even earlier this season, Rodgers left a Week 1 game against the Chicago Bears with a knee injury. While he was examined, backup DeShone Kizer looked overmatched, and the Bears climbed out to a 20-0 lead. Rodgers re-entered the game in the second half and drove the Packers back to a 24-23 victory. With a 4-5-1 record this year, the Packers are on the brink of missing the playoffs for a second straight season. Last year, Rodgers missed nine games due to injury. This year, he's appeared hobbled after that knee scare in Week 1. Either way, the Packers are in far more trouble with Rodgers off the field than they are with him on it. And they've learned they need to pay a hefty amount to make sure they're set at the most important position.